Can you imagine what the traffic is all about ? 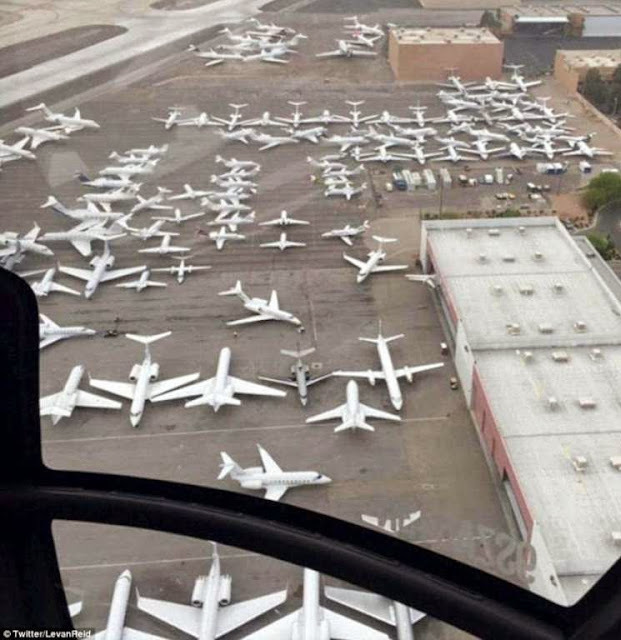 Las Vegas Sun reported that airport traffic reached record volume levels, forcing hundreds of private jets to smaller area airports. With tickets commanding six-figure sums on the resale market, even A-list celebrities were being forced to call in favours, and many were left waiting to hear if they had made the red carpet cut hours before the event. Fewer than 1,000 tickets were offered to the public before the fight and those vanished in seconds. The remainder were divided among the two fighters' promotion companies and MGM, who made the seats available to their best customers. The Philippine presidential and vice presidential election of 2016 is the next presidential election in the Philippines, scheduled in May 2016. Incumbent President Benigno Aquino III is barred from seeking re-election, pursuant to the 1987 Philippine Constitution. Therefore, this election will determine the 16th President of the Philippines. To some of us, reference to ‘boxing’ is about the Melbourne Test and in some ways that legendary match in which Muhammad Ali beat Sonny Liston to become heavyweight champion of the world. Things have changed ! …. The traffic in the air and on paid TV was to see what was touted as ‘fight of the century!’. To stand and peer around the darkened arena in Mayweather's moment of triumph was to see a striking sight, as most of those booing appeared to be not Filipino fans of the beaten Manny Pacquiao but Americans, white and black. In the pugilist’s ring – whoever punches hardest, dodges quickest, takes a punch and clears his head and plots strategy wins. It was Mayweather, 38-year-old favourite who conquered the Filipino in front of thousands of boxing fans and celebrities who had flown into Sin City from around the world just to be ringside for the historic bout. Mayweather made a surprisingly strong start, then withstood some aggressive counter-punching by the Filipino southpaw in the later rounds as he improved his career record to 48-0. Manny Pacquiao wore the white hat in the buildup to the Fight of the Century with Floyd Mayweather. Pacquiao was the God-fearing congressman from the Philippines, who had reformed his gambling and womanizing ways. He is in news, not because he has thrown hat for a senator in Philippine elections ! Nike, Inc. engaged in the design, development, manufacturing and worldwide marketing and sales of footwear, apparel, equipment, accessories and services is too well known. The company is headquartered near Beaverton, Oregon, is a major manufacturer of sports equipment. The company was founded in 1964, as Blue Ribbon Sports, by Bill Bowerman and Phil Knight, and officially became Nike, Inc. in 1971. The company takes its name from Nike, the Greek goddess of victory. The news is that Nike has terminated its relationship with Manny Pacquiao after the six-weight world champion described homosexuals as "worse than animals". The 37-year-old, who is running for a senate seat in his native Phillipines, later apologised for his comments. 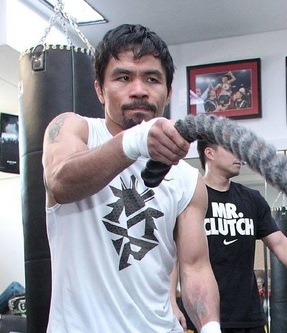 "We find Manny Pacquiao's comments abhorrent," said a Nike statement. "Nike strongly opposes discrimination of any kind and has a long history of supporting and standing up for the rights of the LGBT community." The sportswear company added: "We no longer have a relationship with Manny Pacquiao." Pacquiao's original remark was made in a television interview and he initially appeared unrepentant. Pacquiao, whose last fight was a defeat by Floyd Mayweather in May, is due to fight American Timothy Bradley Jr in Las Vegas in April.